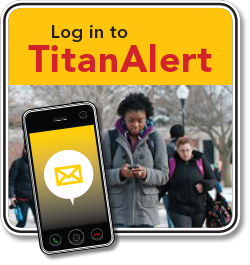 TitanAlert, a text-messaging alert system, is used to communicate important campus information right to your mobile phone. Students, faculty and staff can sign up to receive information about severe weather warnings or campus emergencies that have a direct impact on UW Oshkosh classes and operations — events such as thunderstorm and tornado warnings, blizzards and other threats to the schedules, safety and well-being of students, faculty, staff and guests. Together with existing campus safety measures, this system will help to maintain a safe campus environment through timely and broad-reaching emergency notifications. Registering for TitanAlert is the surest way for you to receive information critical to your safety and well-being. Emergency alerts will be sent only in the event of an imminent or actual campus emergency. 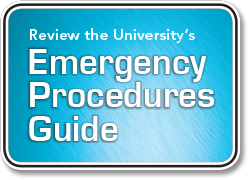 The Chancellor, vice chancellors and University Police will determine when an emergency alert should be issued. The University will also test the system by sending a test message one to two times per year. Other than these tests, it is expected that very few, if any, emergency alerts will be sent. There is no fee for this service other than any regular fees associated with your text messaging service. Text message alerts can be sent to up to three phone numbers per TitanAlert account. To add an additional number to your existing account, follow these steps. The University will not send any advertisements to registered phones, and your information will not be shared or sold to third parties. For more information, visit the Frequently Asked Questions Web page.